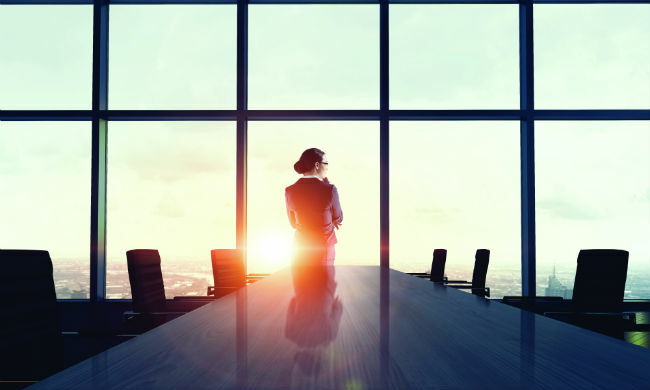 Despite efforts to increase women’s representation in the C-suite and on boards, Canada’s progress has stalled, according to a PwC report, citing the country’s ranking by the Organisation for Economic Co-operative Development (OECD) — 10th out of 33 countries. “Canada does have a strong work environment for women, but our progress has stalled,” said Jean McClellan, national leader of people and organization practice at PwC Canada in Calgary. Thirty-five per cent of respondents to a PwC survey listed an employee’s diversity (for example, gender, ethnicity, age and sexual orientation) as a potential barrier to career progression. And 36 per cent believe that taking advantage of work-life balance or flexibility programs negatively affects people’s career, found Women in Work Index 2018 — based on a global survey of more than 3,500 working women, including about 250 Canadians. In addition, more than half of these women feel employers could increase gender diversity efforts and pay more attention to gender equality in regard to internal promotions. To close the gender gap, the report indicates two areas of focus: access to leadership roles for women, and pay inequality between men and women. Women earn $0.87 for every dollar earned by men, and while Canada’s female labour force participation fares well compared to other countries (74 per cent), more focus on building stronger diversity and inclusion strategy and initiatives is needed to further boost the country’s rank, said PwC. When employers make diversity and inclusion a top priority, it’s not only the right thing to do but it makes good business sense, according to McClellan. When companies make an effort to promote inclusion in the workforce, there is a 19 per cent increase in innovation revenues and a nine per cent hike in profit margins, found PwC. One reason may be the tie to innovation. Often, people make assumptions, according to Michelle Branigan, CEO of Electricity Human Resources Canada (EHRC) in Ottawa. ‘There’s not that many women with the right credentials,’ for example, or the experience to sit on the board. ‘Women just don’t want to go into the trades; it’s messy work.’ ‘Women, once they start having children — they don’t want to travel.’ There’s a lot of presumptions that are built into organizations and into those hiring decisions,” she said. The time for talk is over, said Branigan, and employers should do more to advance equality. Gender equity is something that a vast majority of Canadian corporations are focusing on, according to Merril Mascarenhas, managing partner at Arcus Consulting Group in Toronto. What is needed is a cultural shift inside a lot of Canadian employers. And that needs to begin at the top. And the success doesn’t happen overnight, he said. A large part of the blame for the lack of progress is placed on HR, according to Mascarenhas. HR can start the process by better managing recruitment policies and employee evaluations. “We have some research on some of the strategies around gender equity; the first one is to embed gender-equity variables into performance evaluations, and a recruitment standard,” said Mascarenhas. “If the HR leads understand the importance of gender equity — and I don’t think they do right now; otherwise, we’d have seen a lot of movement in this area — I think it will cascade downwards and upwards because the CEOs, the HR leads are in meetings with the CEOs. They don’t bring it up; they haven’t brought it up,” he said. But the appetite for change in HR departments does exist, said McClellan. “They either have diversity programs that they’ve already kicked off, or they’re looking to do that, so there is a lot of discussion and dialogue,” she said.